This is seventh part of Social Media SEO guide for beginners. In this tutorial we will discuss about LinkedIn social networking website. In case you missed other tutorial then we recommend you to read them as well. Each tutorial discusses different social site. Lesson 2 – How to use Facebook for traffic and SEO? Lesson 3 – How to use Twitter for traffic and SEO? Lesson 4 – How to use Google plus for traffic and SEO? Lesson 5 – How to use Pinterest for traffic and SEO? Lesson 6 – How to use Reddit for traffic and SEO? LinkedIn is most popular or is the social networking site for job aspirants. The quality of traffic is also good from LinkedIn compared to other social networking site. But not all content types will not work well on this social platform. How to use LinkedIn for your website? How to add LinkedIn buttons on your site? How to make best use of LinkedIn? You can create profile on it just like any other social networking site.Creating profile is very easy and I will not cover it here. You can create profile easily without any issues. After creating your profile you should perform below actions to make most out of it. Now click on Change option on side of Edit your public profile. You can then edit and control things to be visible on your public profile. 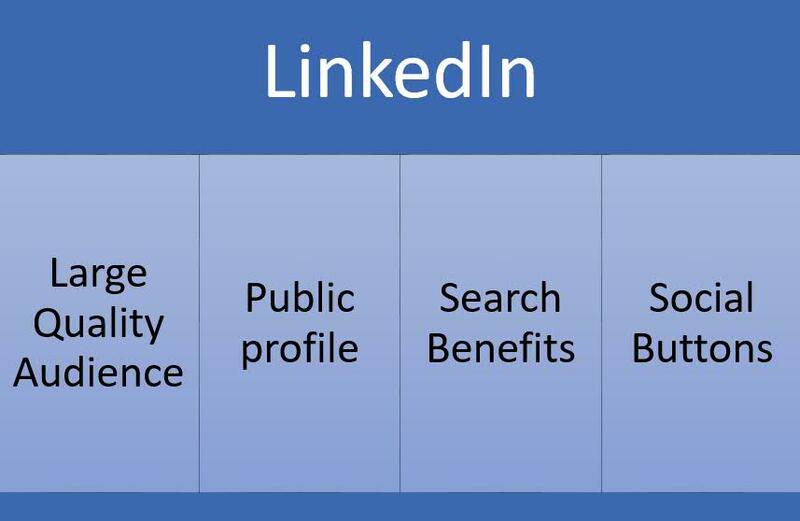 The first thing you should do is to select one custom URL to your LinkedIn profile as shown in below image. You should also add links to your websites as well. So people browsing your website will browse your site to get more details of work you performed. Your website will act as a showcase of your skills and will complement your profile. As a added benefit it will increase referral traffic to your website which is aim of this. You can add it as your experience (like owner of this website). This is important step in blog promotion. You should become part of groups related to your niche. You will find groups related to most of the stuffs out there (read technical job oriented). You can become member of them. You can also share links to your articles related to content matching the group niche.Joining group also helps you get content ideas as well. How to add LinkedIn buttons to your website? I would recommend LinkedIn buttons majorly for technical blogs. LinkedIn is professional social media site. So people tend to share technical articles on this network. You can also add it on job related sites as well. Apart from these two niches it may not work well. So this section only applies to these website types. LinkedIn currently offers two button types we will discuss both types in this post. LinkedIn share button as the name suggests helps visitor share their content on it. I will discuss multiple ways to perform it. You can select the one which suits you the best. This method can be used by all websites. You will have to copy below code before closing body tag (</body>). In case you are using WordPress then this tag is found in footer.php file of your theme. Now the second part of code shown below should be pasted where you want to display the button. Normally it is good practice to display these button after post content. In case you are using WordPress then you may have to edit single.php file. You can also use this link to generate the button codes shared above if you want. I will be discussing ways to put LinkedIn share buttons on popular content management systems like WordPress, Joomla and Drupal. These are most popular ones so I will be including these only. WordPress has many plugins which help you put LinkedIn buttons on your website with ease. You can use this plugin for this purpose. It will help you add share buttons along with LinkedIn profile as well. So one plugin will solve your needs. Note we will discuss profile badge later in this article. Joomla also has one free extension for this purpose. You can use this extension to add the buttons on your website. Note there are other alternatives as well but they are paid ones. Drupal also has free module to add share buttons on your website. You can use this module for this purpose. LinkedIn profile widget is new offering compared to Share button. There is lack of plugins or extension for it. So I recommend making changes in your website code to add it. You can follow below approach for the same. The first step is to generate the profile widget code. Above we discussed how can you edit your profile URL. You can create profile widget on the same page. On the same page look for below portion as shown in image. You need to click on it. The next page displays options to configure your profile widget. The code consist of two parts. The first part should be added above </body> tag. For WordPress users this tag will be present in footer.php file. The second part should be pasted where you want to display the profile widget. The code will be like the one shown below. Note do not paste the below code as it will display my profit widget. You will have to replace my LinkedIn user name with yours in below if you want to display your widget. 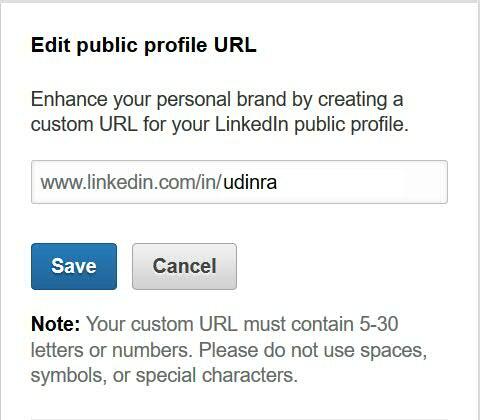 You should search for Udinra and replace the same with your LinkedIn user name. How to make most out of LinkedIn? So far we have focused on creating profile on this social networking site and placing the widgets on your website. Now it is time to discuss tips and tricks to make most out of it. Every social media site has some differences with other. What works on one site may not work well on other site. Below are some key points to make most out of this social media website. Keeping these things in mind will help you make most from it. Every website have social media buttons on them. So it is not a new thing nowadays. Visitors need too compelling content or some freebies to share your content on social media. For example you can offer an free eBook or software. Visitor will then share your article on LinkedIn and in return they will get the eBook or Software. This gives them a reason to share your content. It works well for all website types. You may have seen many websites offering some thing on Email Subscription and social actions. You can implement the same on your website using Social Media Locker plugin. This plugin is for WordPress. This should be first step after creating your account. Growing your network is important on any social site. LinkedIn is no different. It is called Network in its language. You should increase your network. The first step towards increasing is to invite your Email contacts. This is perhaps the easiest method as well. This will give initial lift to your networking push. Note the invitation should not look like spam. For example you should not invite your contacts many a times.This will switch off the people. You should join the groups matching your website niche. Once you join the groups start interacting with them. You can post your queries or answer queries posted on the site. This will make your profile visible. You should also interact with people in the group. People will recognize you and will add you as part of their network. But for this to happen make sure you do not SPAM on these groups. You should focus on quality of the posts not on quantity of it. You can also share your website content on the groups seeking their view on it. Also it is better to answer queries or respond to comments made on your posts. This will increase engagement as well. LinkedIn has changed with time. Now you can post your content on it just like your post on Facebook.After publishing your article on site you can wait for perhaps one or two weeks and then post it here. I usually wait for some time so that the ageing articles get one more boost by posting on social networking site. LinkedIn has more value in eyes of Google. Google values a content found on LinkedIn more than the one found on majority of other social networking sites. This is due to the nature of LinkedIn. LinkedIn profile is showcase of your professional skills and work. So you should focus on it in that way. It is better to complete your profile and add the skills you have obtained over the years. A complete profile is more appealing than a in complete partially written one. Some one looking at your LinkedIn profile should get idea about your professional journey and recent works. If you are a freelancer than creating a impressive profile is more important. You can impress clients and get work from it as well. Even if you are website owner selling your products it is better to have professional profile. The profile also helps you increase network and followers. The more number of followers you have more are the chances of website promotion. Most of the time people just paste links to their articles on LinkedIn.Though publishing your content this way is fine but it has less impact then creating article on the site. You should create article on it. You can add Headline, add image and video as part of the article along with links. Articles are more detailed and remain in focus more than the link submission discussed above.It is not possible to publish article for each and every content of yours but I recommend doing it for important content. You can try and see the benefits of publishing article compared to link method. You can also use your article content to frame the article on LinkedIn. Doing this way will be less time consuming compared to writing entirely separate article for your content. The steps mentioned above will help you get list on this social networking site. The actions of LinkedIn are more valuable compared to other social networking sites. So you should really focus more on this social site. With this we will end this lesson. You can post your questions below. In the next chapter we will discuss about yet another important social networking site which will help you perform better in Google Searches and get more traffic to your website. Next Next post: Video Sitemap Why you should start using one?